I arrived home late the other night because I spent a little more time at the gym working on my shoulders. Trying to get those shapely arms & shoulders you see on celebrities, like Jessica Biel. After coming home from the gym I had the difficult task of planning my dinner. I didn’t know how I wanted to flavour my pork chop. I hit Google and got to work on making the hard decisions. Do I want to go with rosemary flavouring, stuff it, or chop it up and use it in a stir fry??? I saw a few recipes combining apples with pork. After my long day a flash of brilliance came over me. The voice said “wrap the pork chop in bacon!” Then I thought bacon + apples = yummy! 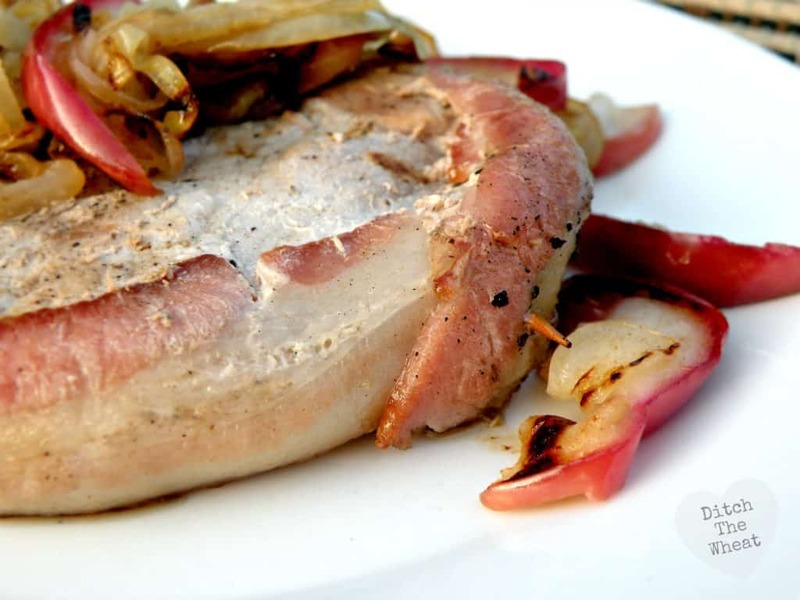 Rub the pork chop in olive oil. Sprinkle salt and pepper on it. Wrap the piece of bacon around the pork chop and secure it with a toothpick. Preheat your barbecue. I turned half of the barbecue to low heat, and the other half to high heat. I placed the pork chop over the low heat so the fat from the bacon wouldn’t burn immediately. Flip once. When juices are clear the pork chop is done. Roughly 20 minutes. 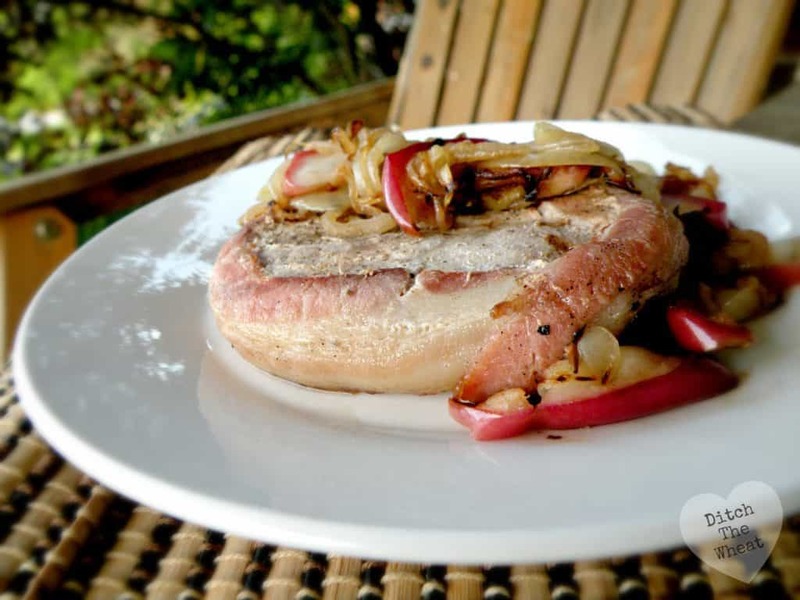 While cooking the pork chop finely slice the onion and apple. Using a medium pan, sauté the onions and apples in olive oil (or preferred cooking fat) until desired crispiness. 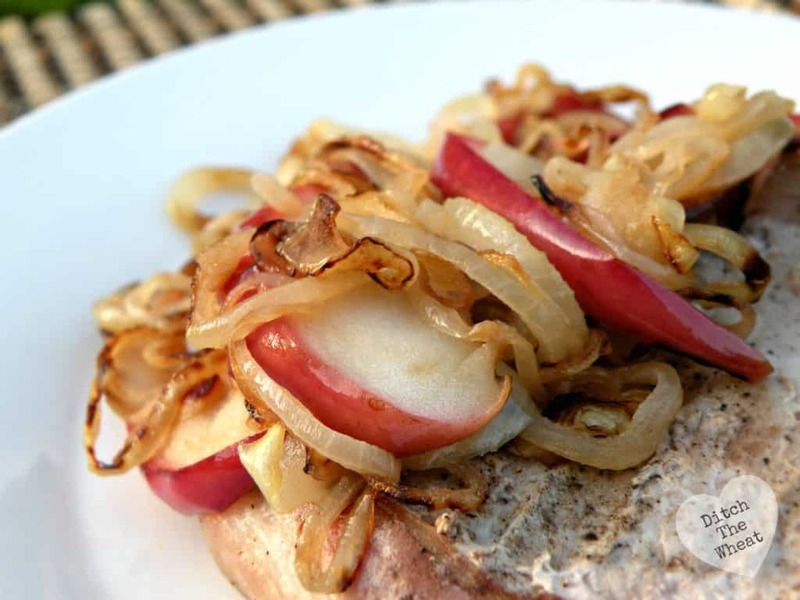 Serve the onions and apples on top of the pork chop. 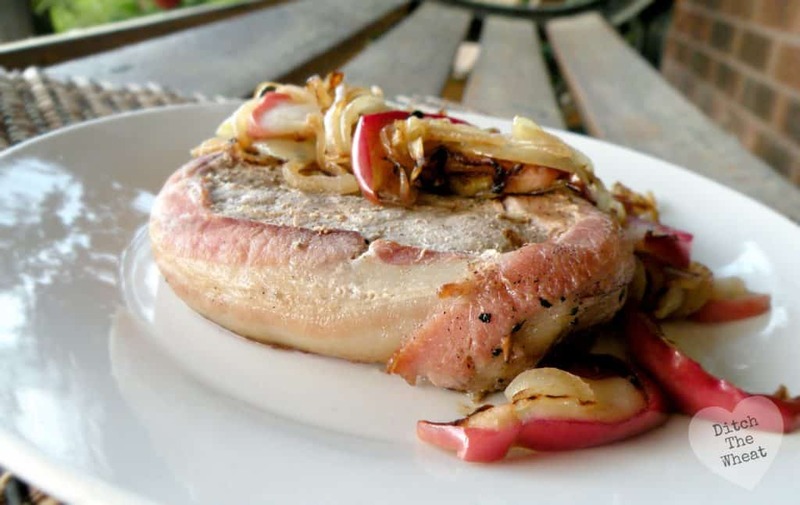 What is your favourite pork recipe? Yum! I don't normally love bacon wrapped stuff but this chop looks like it could be the exception! Thanks 😀 I rarely wrap bacon around stuff but this was good!! !